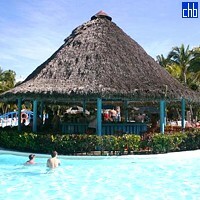 Hotel Sol Palmeras is a 4 star resort in Varadero, Cuba’s main tourist destination. Its privileged waterfront location, sandy beach, beautiful gardens and thousands of palms honouring its name make it a perfect option for a romantic wedding and honeymoon or for a fun filled family holiday. Hotel Sol Palmeras operates on All Inclusive basis and it offers varied cuisine for all tastes at its 7 restaurants, including 1 international buffet, 1 Cuban, 1 Cuban fish restaurant, 1 pizzeria and 1 grill. 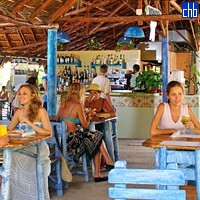 The resorts' 7 bars are ideal for enjoying refreshing tropical cocktails; one of them, La Fajita, is located by the pool and another one, the Sol Cubano, right on the beach. Sol Palmeras hotel offers 608 modern and comfortable rooms, all with spectacular views of the gardens, the pool area the sea or the beach. This resort is for those who love exquisiteness, comfort and exclusivity and therefore here you will find a wide range of facilities at your disposal: day and night entertainment programs, 3 swimming pools surrounded by beautiful Cuban tropical gardens, windsurfing, sailing, diving, fishing and many more. 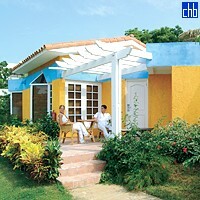 From Sol Palmeras you can also book various tours; day tour to Havana is highly recommendable. Also, this hotel is a part of the Las Americas Resort complex. Given its proximity to the Varadero Golf Club, the hotel provides special offers for golfers. Sol Palmeras' ideal location, facilities and very professional and helpful staff will guarantee you unforgettable holidays, many great stories to tell and memories to keep. 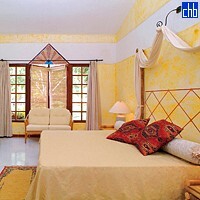 376 Double Standard rooms: spacious, highly comfortable with terrace or balcony, a marvelous view of the sea and gardens. 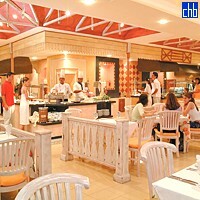 Equipped with the necessary comforts and excellent service. 28 Junior Suites Standard located on the third and fourth floors of the hotel; terrace or balcony, wonderful view of the sea, swimming pool or garden. All equipped with the necessary comforts. 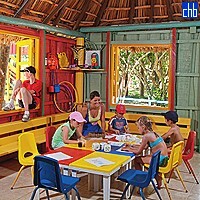 The rooms Bungalow Familiar at Hotel Sol Palmeras are designed for large families and they can accommodate up to 4 adults + 1 child + 1 baby. Kuhinja s štednjakom, hladnjakom, sudoperom, itd.